NSW is home to some spectacular roads, where discovery and sheer pleasure awaits. From the Kosciuszko Alpine Way in the Snowy Mountains to the Legendary Pacific Coast that weaves its way up from Sydney to Brisbane, there are plenty of drives that ensure a memorable road trip. Here a Meriton’s Top 10 road trips and scenic drives. A favourite among advertisers, the Grand Pacific Drive sets the scene for virtually every car ad launched in Australia. Covering 140km, it winds its way along the coast south of Sydney, starting at the Royal National Park and ending at beautiful Kiama. As you drive, you will be spoilt with views over pristine beaches, ocean pools, and even the biggest Buddhist temple in the Southern Hemisphere. You’ll pass through sleepy villages, including historic Nelligen and Mt Kembla, once an old mining village sitting 534 metres above sea level. As you enter the Illawarra region, you’ll be met with Sea Cliff Bridge, a truly remarkable $52 million bridge that links the villages of Coalcliff and Clifton. The bridge has become an icon to the people of Wollongong, and makes a perfect viewing platform for migrating whales between June and October. Once at Kiama, don’t forget to visit the Kiama Blowhole, which blows water from the rocks as high as 60 metres. Instead of sticking to the coastal roads north of Coffs Harbour, try heading west and inland for 165km and out to Armidale. Along the way you’ll pass through legions of national parks, many of them home to spectacular water scenes. Stop and explore Dorrigo National Park with its subtropical rainforest, Ebor Falls, Mihi Falls and Dangar Falls. Take a walk through Oxley Wild Rivers National Park or if time allows, stop for a fish in the Apsley River. Once at Armidale, soak up the history, the town’s unique culture and sample some delicious produce from roadside stalls. The Greater Blue Mountains Drive consists of 18 discovery trails that branch off the main route between Sydney and the Blue Mountains. Enjoy lookouts galore of mountains and valleys, including Wentworth Falls, Leura Cascades, Murphy’s Fire Trail, and Katoomba. Wander through the Blue Mountains Botanic Garden at Mt Tomah or gaze in the wonder at the incredible limestone formations, stalagmites, and stalactites found at Jenolan Caves. Bushwalking is an absolute must, so don’t forget to pack a pair of hiking boots and a bottle of water in the back of the car. If you don’t fancy heading out to WA or the Northern Territory to explore the Australian outback, the Darling River Run is the next best thing. The 730 km route follows the Darling River from Walgett to Wentworth, which sits just north of the Victorian border. It’s a journey of dusty roads, rich indigenous history, and offers a great opportunity to visit what was once thriving outback towns. Must see stops include the eerie landscape surrounding White Cliffs, the World Heritage-listed Mungo National Park, and sunset over the Menindee Lakes. Starting in Canberra and ending just outside Albury, the Kosciuszko Alpine Way takes you on a journey through to the gateway of the Snowy Mountains and past Lake Jindabyne where you can fish for trout or take picturesque walks along the water’s edge. Visit quaint, historic villages, gaze over mountaintop vistas, explore hidden alpine valleys or try skiing or horseriding over dramatic scenery. The Scenic Road travels 33km from Killcare to The Entrance on the Central Coast. It travels through and on the fringe of Bouddi National Park, past Tallow Beach, Maitland Bay, MacMasters Beach, and the fun town of Copacabana. Further north you’ll find the family-fun region of Bateau Bay and Shelly Beach, and the cosmopolitan town of Terrigal. The coastal route along the Northern Beaches is a local’s secret. It takes you past beach favourites Manly, Freshwater, Dee Why and Whale Beach, where you’ll discover the Pacific Ocean on one side and lagoons and lakes on the other. While there, why not take a guided tour of the Pittwater Waterway via kayak. While most people come to the region between Byron Bay and the Gold Coast for the beaches and surf, the mountainous region offers something very different from anywhere else in Australia. Volcanic mountains are set in sub tropical rainforest, making for some truly spectacular scenic drives. Mount Warning sets the backdrop to towns such as Murwillumbah and Tumbulgum, which are must-visits for any coffee lovers. Art is brimming in this region, and you’ll fall in love with the quirky lifestyle of many of the residents. The Myall Coast region stretches from the twin towns of Tea Gardens and Hawks Nest in Newcastle through the Myall Lakes National Park to Seal Rocks. Home to vast tracts of wilderness, the route is the southern gateway to the Great Lakes, where you’ll find an amazing blend of lakes, coastal forests, pristine beaches and a huge sand dune system. 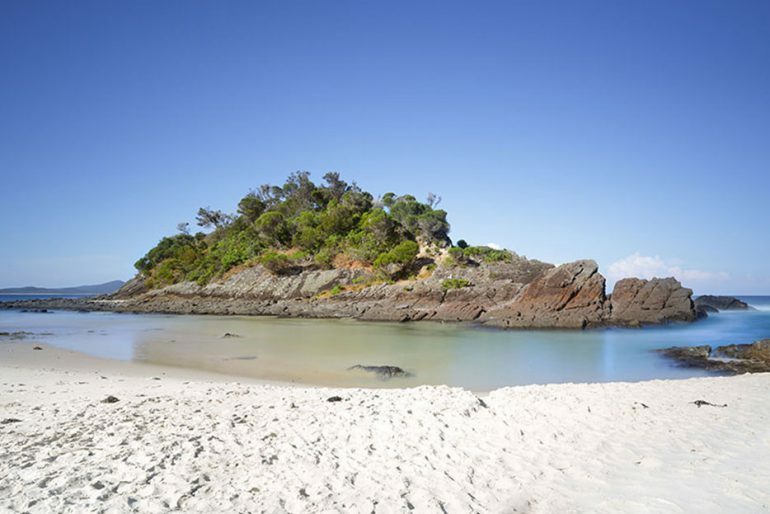 Off-shore is Broughton Island, home to picturesque beaches, volcanic peaks, the best diving and snorkelling sites and a huge range of wildlife including penguins, turtles and seabirds. Eurobodalla is a natural wildlife sanctuary, famous for kangaroos and wallabies, whales, penguins and seals. It’s also known as the gourmet region of NSW, a rich bowl of creamy dairy products, oysters, seafood, organic vegetables, fresh baked goods and great wine. There are many food festivals to explore, or simply enjoy indulging from the roadside stalls.